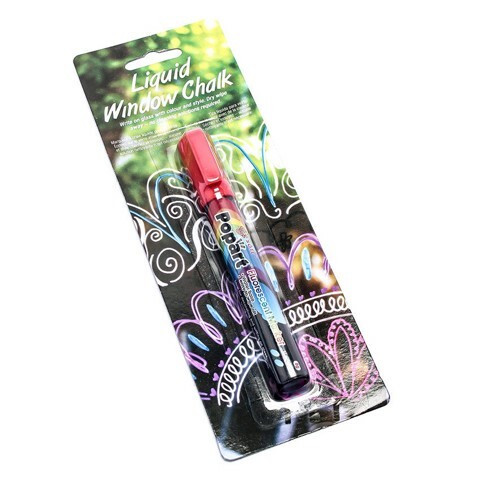 Liquid Window Chalk 6Asst. 13.5 x 1.6cm. 4.5mm Bullet Tip. White | Pink | Purple | Red | Blue | Yellow . Water | Resin | Pigment. 8G Packaging: Blister Card.